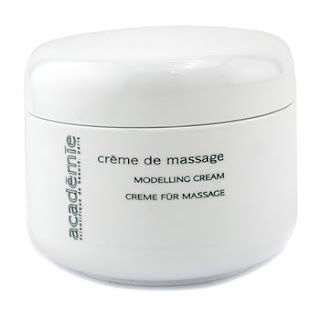 Summer`s knocking on our door and we need to look good for those pool parties that we`re thinking to throw, so Academie`s Crème de Massage Modeling Cream is the best option for a firm looking skin on your body. With its silky-satiny texture, this product helps reshape body contour, while intensely nourishing skin. It restores radiant, supple skin, it`s super-easy to apply and it accelerates cellular circulation. It`s a must.